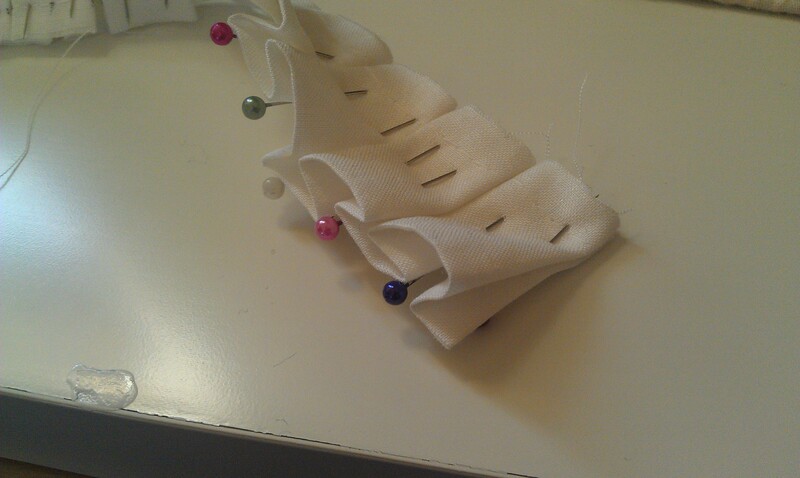 I took some time off from the stays this week to make myself an Elizabethan partlet. 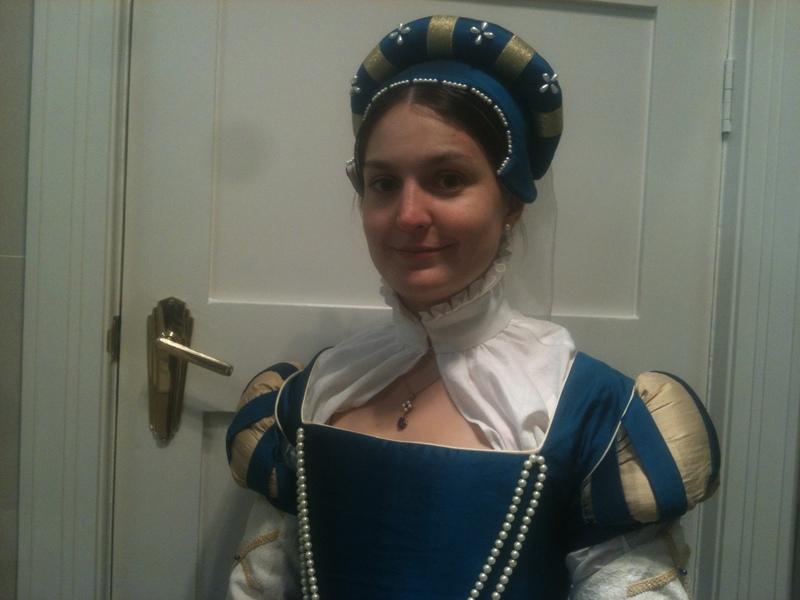 My Elizabethan outfit was my first proper historical costume (I made it in 2008) and I’d never got around to to making a partlet to go with it. 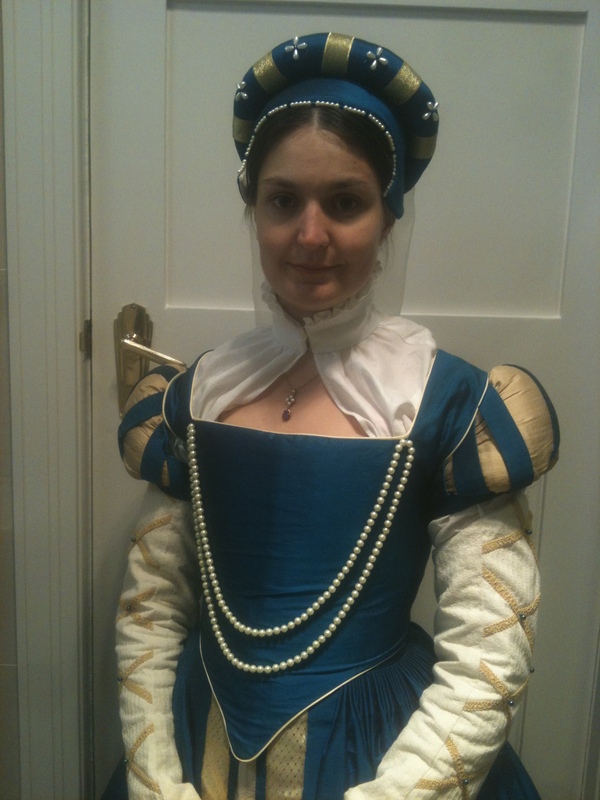 I’d returned the one I’d borrowed so thought I’d better make my own in time for yesterday’s Renaissance ball. I wanted to use silk organza, but I’ve already started hemming the piece I have for an 18th century kerchief (not sure how that’ll go, but that’s a different story) so I didn’t want to cut into that, and the shop that had some until recently seems to have run out. Frustrating! So I spent a couple of days stressing about that, until I decided to use a piece of silk/linen blend that I was planning to use for lining 18th century things, but I decided I can always get more when I finally get around to working on it. I was happy with that, in the end – it’s nice and smooth, with the look of linen but a bit of sheen as well. 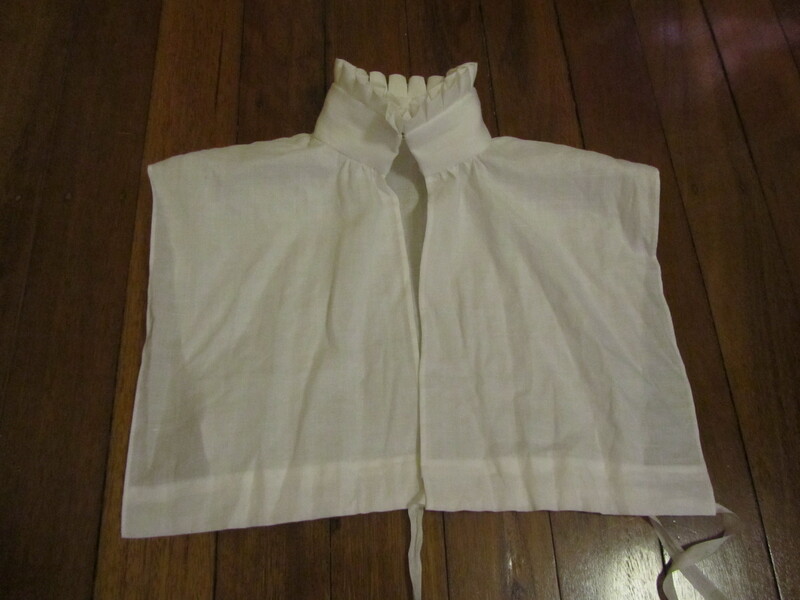 It also creases really nicely, which was good for doing the collar. It also took me longer than expected to find a pattern – I thought for something as simple as a partlet there must be a free pattern somewhere online, or in one of my books. Eventually I found this free pattern from Margo Anderson. Once I found that, everything was pretty straightforward. 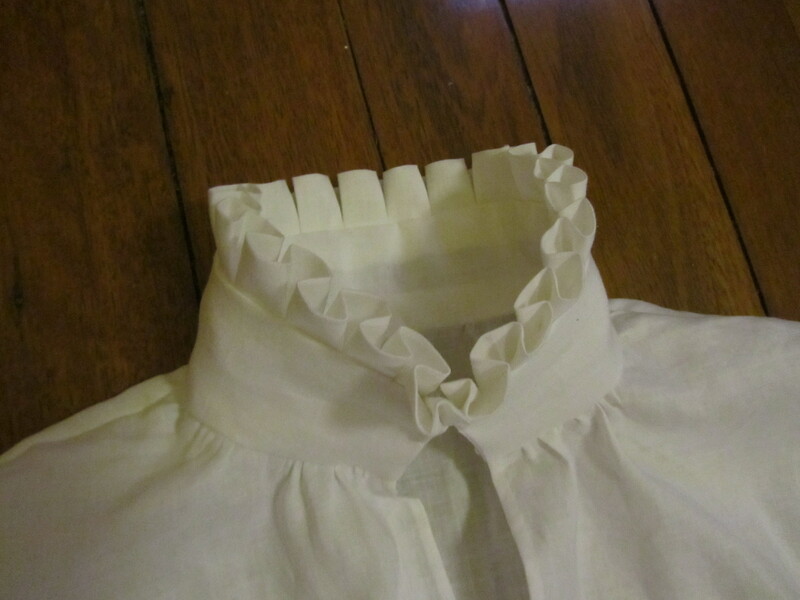 The only change I made was to box-pleat rather than gather the frill at the top, which meant I could fold the piece over rather than hem it, and made it look more like a proto-ruff. I also chose to close the collar with hooks and thread loops rather than ribbon since my necklace is my favourite bit of my Elizabethan costume and I didn’t want bits of ribbon getting in the way. I also added some extra ribbon to the overskirt, which I shouldn’t have done because I didn’t really have time, but it turned out well. Wearing the outfit on the night, I was very happy with my overskirt and partlet, but was reminded that the bodice/sleeve situation is a bit of a nightmare, and I think I need to make new sleeves. And an underskirt at some point. I guess I’ll ignore that for now and worry about it at the last minute before the next Renaissance event. Hmm. 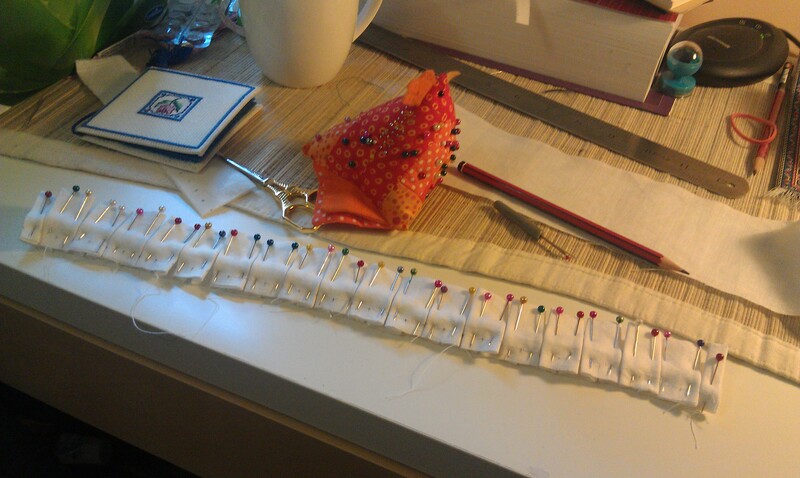 And now I just have to clean up the debris of last-minute sewing and dressing. Yay. You are currently browsing the archives for the Elizabethan category.